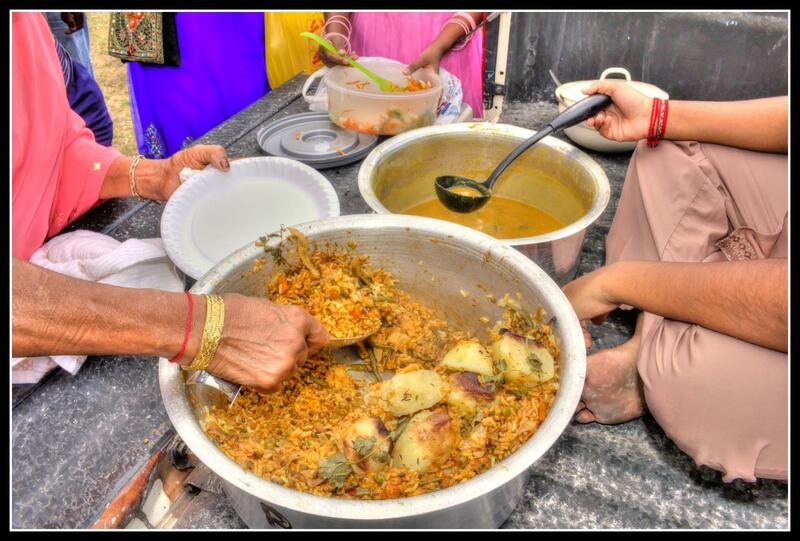 We woke up early on Saturday the 30th of March and the ladies set about preparing a large sumptuous pot of vegetable biryani. 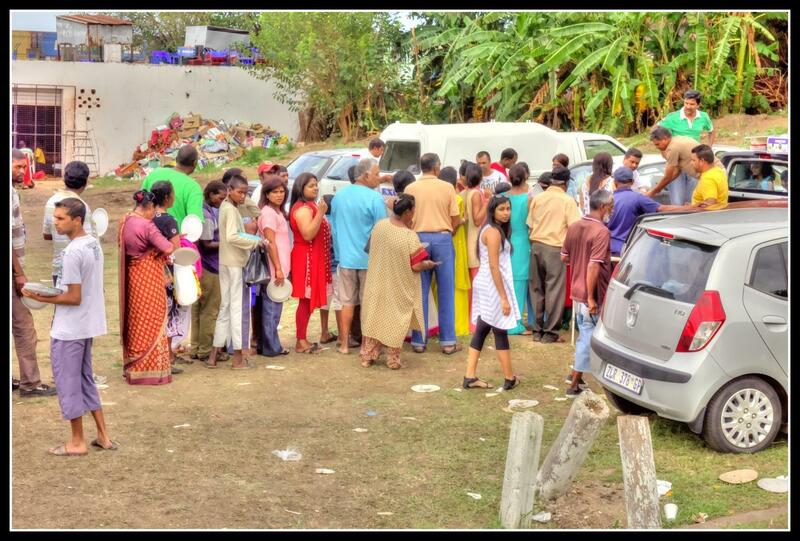 At about 11:15 we arrived at the Isipingo Mariamman Temple and attended to prayers before returning to the vehicle to feed approximately seventy members of the public (the pot emptied quickly and I have already threatened to return next year with a pot at least twice the size). Unfortunately, no photography was allowed inside the temple but I will try and convince the guardians there to let me in one day to take some “free” photos for their use and mine (on this blog only). The inside of the temple grounds and prayer building is beautiful and well worth a visit. 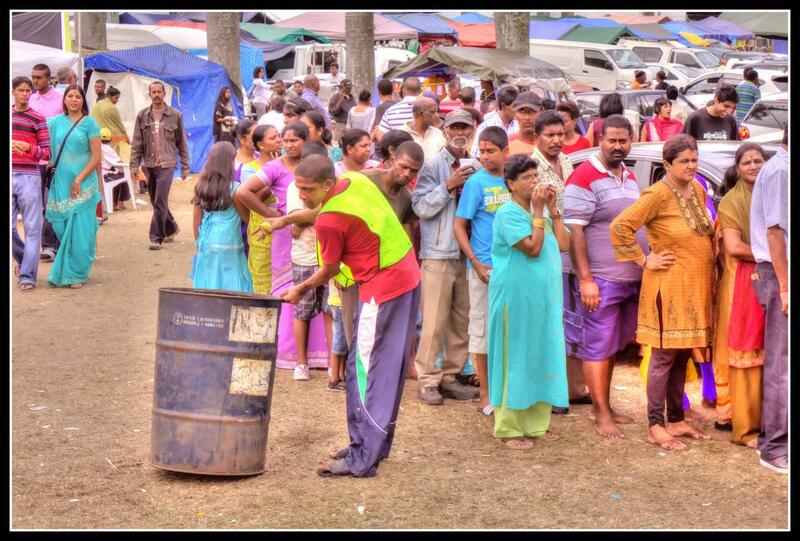 “The celebration of Easter is generally associated and related to the people of Christian faith, however in Durban with our mixed cultures of diversity, Easter also marks an important period for local Durban Hindus. 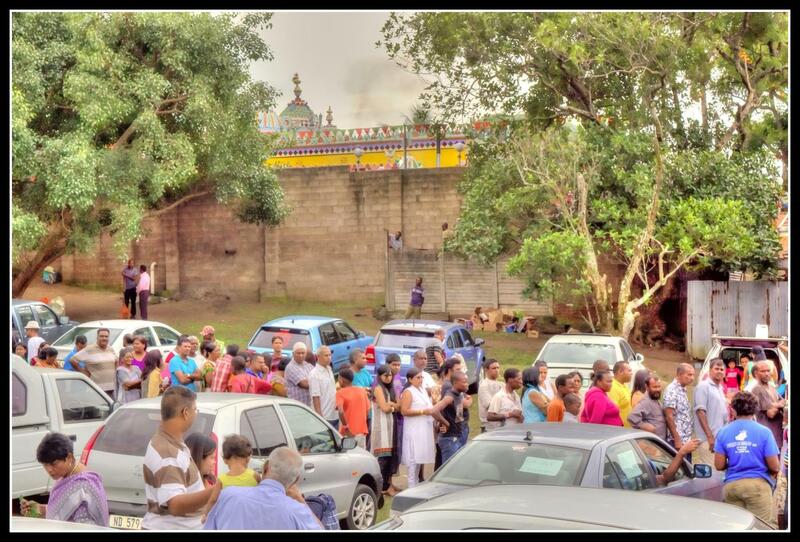 It is referred to as an annual pilgrimage and brings hundreds of Hindus together to pay homage to the deity Goddess Mariamman at the Isipingo Mariamman Temple on the south of Durban or the Mount Edgecombe Temple in the North of Durban as tradition. 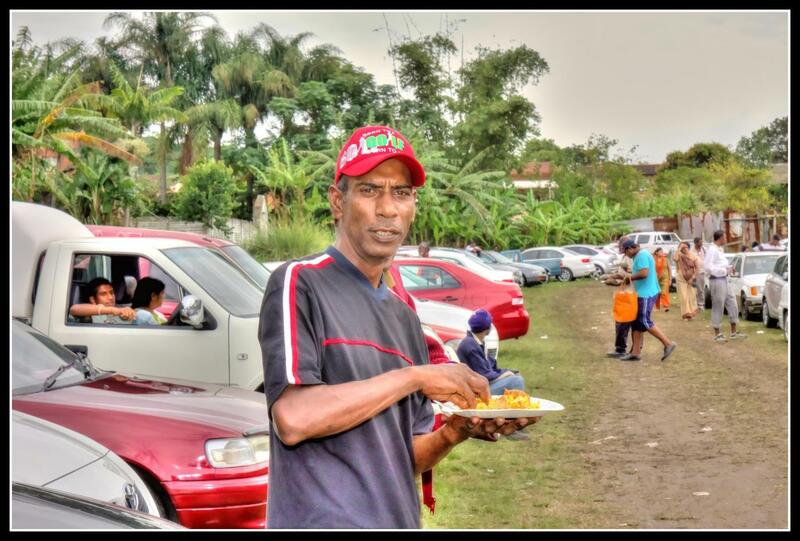 The tradition of paying homage to the temple during the Easter period was started by the Indian indentured labourers who had the opportunity to visit the temple when their white sugar cane plantation owners went overseas during the Easter holidays. The other reasoning is that at this time Hindus pay tribute and gratitude to the Goddess for good health and prosperity. It is believed that the goddess blessed and healed sick people in South India during drought and an outbreak of measles, the visit to the temple also co-relates to the porridge prayer festivals done at home, it is the same deity that is worshipped during the porridge prayer festival. It is only during Easter these temples are open to the public and it is more a tradition that was passed on from generation to generation. The Mariamman Temple in Isipingo rail was a private owned temple built by Mr Narainsamy in the early 1860s. It is said to be built over a puthu or a mount that is believed to be a home of a sacred snake goddess that is a form of Mother Mariamman. For Hindus, forming a temple on these sites would be more auspicious. The temple at Isipingo was taken over by Narainsamy’s wife and son when he died in 1914. The festival was held over the Easter weekend and drew around 13,000 Indian labourers by train only. They would offer chickens to sacrifice, money, fruits, milk and eggs to the puthu. They would also bath the idol of Mariamman in the temple and perform hourly prayers. The temple use to be open for 24 hours at that time. The same rituals applied to the temple in Mount Edgecombe which was built by Mr Kistappa Reddy who came to Durban as an indentured labourer. 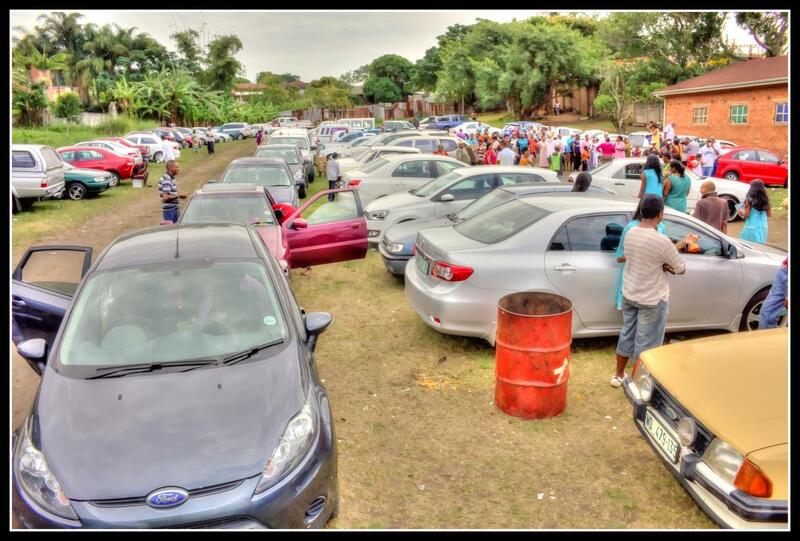 The trend still exists and every year in Durban presently, during Easter Hindus make a trip to the Isipingo temple to pay tribute and worship Mother Mariamman. 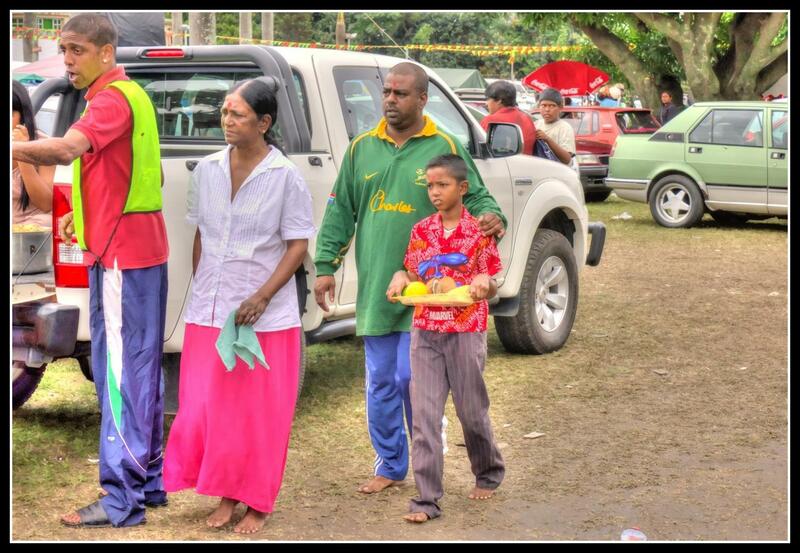 The worshippers buy fruit and milk and little idols that represent a male or female and place them in a basket. The idols are used to ask the goddess for good health. Some devotees offer saris, eggs or chickens to sacrifice in addition. The people that offer chickens have it turned around them and thrown onto the temple roof, where it is later sacrificed and the blood offered to Mariamman to appease her. They go around the temple three times and join a line that leads into the temple. Before they enter the temple they offer the decorated puthu the milk and proceed into the temple to perform their final worship. The sacred cobra, a form of the Mariamman is said to be inside the mount and does not reveal its presence and the person that sights the cobra if it comes out, is said to be fortunate. 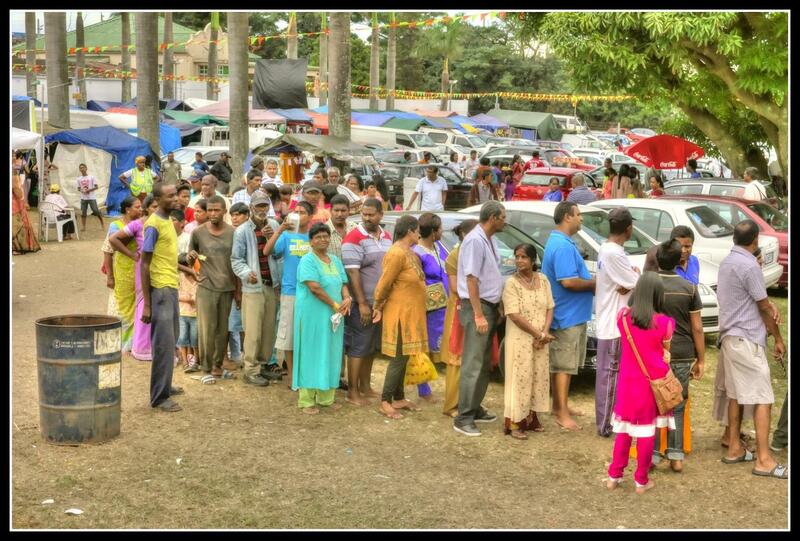 The temple environment is buzzing around this time and there are people who cook food and feed on the temple parking premises as a means of charity. 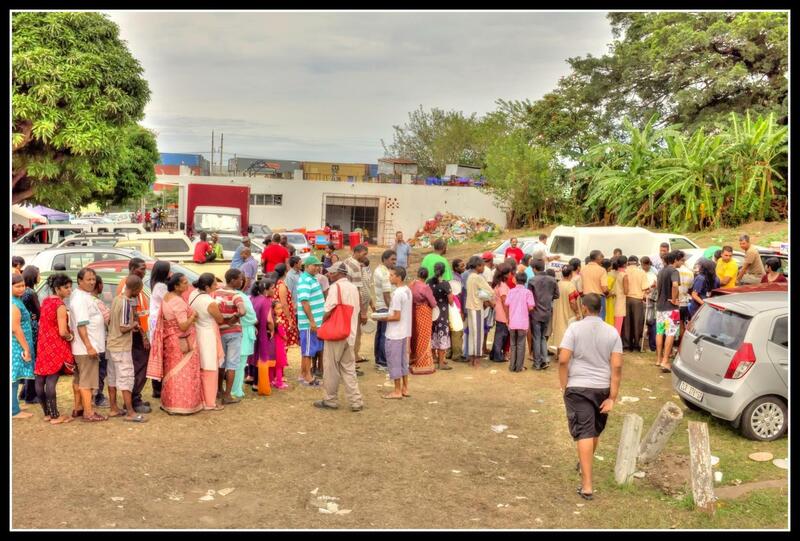 There are also now stalls at the temple with people walking around and shopping for both clothing and edible items”. Fascinating images! What treatment have you used? They look like HDR shots. Yes. It was Photomatix. TM single .xmp preset that I created. Looks rough now :). Do you have Photomatix? Yes, I use Photomatix Pro. If I do HDR I always start with 3 bracketed shots. I have learnt to keep the settings quite moderate! Gr8 memories :-))) I grew up close to the Isipingo temple and made my own Idols which I sold illegally outside the temple, once was caght by the isipingo police and ran away I was 10.